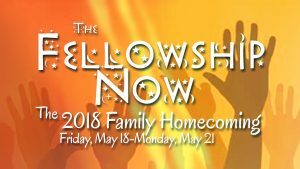 The Fellowship Now: The 2018 Family Homecoming! your spiritual (or “energetic”) boost to get through the coming year! Possibly other questions will be added. They will be timed, from three to ten minutes depending on how many people come. The doors will open at 9 a.m. We will serve a light continental breakfast of coffee, juice and light snacks. Our Seven Terrace to Higher Consciousness Meditation will be at 10:30. Our Sunday Service will begin at 10:45. Brian will share his experience of “The Temple Beautiful” as introduced in the Inner Light Consciousness Experience by our Founder, Paul Solomon. Brian, who has shared the ILC Experience around the world, has made the Seven Terraces Meditation a part of his daily life for the past 40 years. As part of the Homecoming Weekend, Brian has done a trance reading on the Fellowship Now and in the Future. He will reveal his insights as a part of his presentation today. We look forward to hearing his wisdom! An opportunity not to be missed! A pot luck will follow immediately after the Sunday Service. With Annaleah Atkinson, From 2 to 5 p.m. When people come together with God in their midst, miracles happen – so expect a miracle when you join with your Fellowship Family in the Fellowship Game. Annaleah Atkinson, creator of the Fellowship Game, has been a part of the Fellowship Family for more than 40 years. The game first appeared to her in a dream as a deck of “Inner Light Consciousness Toolbox Cards.” ILC is a guided experience in spiritual evolution created by our Founder, Rev. Paul Solomon, which Annaleah has shared around the world. The Fellowship Game is designed to give guidance in answers to questions formulated by the player through affirmations and quotations derived from many different religions and world teachers. With Lloyd Kremer, From 7 to 9 p.m.
Tonight we have a special treat to hear the insights of Lloyd Kremer. Physicist, computer expert, Egyptologist, UFOlogist, Reiki Master and sound technician, some call him “Merlin” and others call him “Mr. Google” for his knowledge, wisdom and intuition. Lloyd will share his perceptions of the Fellowship Now! and Where Do We Go From Here? Don’t miss it. Those of you who have joined us for The Fellowship Village meals after Sunday Service know how delicious the food is that is planned and prepared by Heidi. Here is another Spectacular Menu by Heidi, this time for breakfast! We will have a Full Breakfast Bar from 9 to 10 a.m. including coffee, tea and juices. From 10 to 12 p.m.
Jerry Teplitz has been working with a group of the Fellowship Family for the past year discussing plans for the Future of the Fellowship. This meeting is your opportunity to add your suggestions, ideas and insights in planning for the Fellowship in the coming years. If you are interested in becoming more involved as part of our Fellowship Family, please come! Included on the Future of the Fellowship Committee which meets via conference call monthly are: Annaleah and Joshua Atkinson of Hawaii; Brian David Berry of Florida; David Crowley of Connecticut; Stephen Haslam and Robert Pennington of Houston, Texas; Larry Jennings, Robert Krajenke of Virginia Beach, Virginia; John Krysko of New York; and Judith Van Cleave of Staunton, Virginia. We will end our Homecoming, Fellowship Now! With a Closing Circle of Song and Prayer. The Friday salon will be a walk together in the Green Terrace, as originated in the 7 Terraces by Paul. For anyone not familiar with the 7 Terrace meditation, it would be well to spend time exploring it as a prerequisite. The primary focus of our walk together is to allow our Inner Teacher (Godself, Christ within, True Identity, Higher Self) to guide our consciousness to an experience of Love and Loveability. Lightheartedness, remembering who we are, and allowing the natural expression of Love’s Presence will be the key components for our sharing time. Everyone will have an opportunity to share their experiences if they wish. Joshua Atkinson began his Fellowship journey in 1977. He worked as staff and as an ILC guide, led the Carmel Experience, was ordained as a Fellowship minister, and for over thirty-five years been a counselor. He and wife Annaleah live on Kaua‘i and are avid students of A Course in Miracles. All are welcome! Love offering will be accepted. lots of luck in that regard!